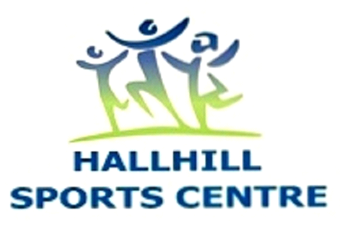 Following a review in 2010 Hallhill Healthy Living Centre has been restructured, renaming itself Hallhill Sports Centre. A Company Limited by Guarantee with charitable status has been formed, with representatives from Dunbar Colts FC, Dunbar Utd JFC, Dunbar RFC, Dunbar Hockey Club, Dunbar Cricket Club, Dunbar Running Club and Dunbar Squash Club having a place on the Board along with 2 Local Councillor representatives and 3 community representatives. The company has been named Hallhill Ltd and has taken out a lease to operate the Centre from the owners, Dunbar Community Development Company, with the mission to provide a sporting and community base for the people of Dunbar through provision of high quality facilities and activities for the whole community. The model on which we have based ourselves is to provide affordable sport and community facilities through a social enterprise approach – community facilities owned by the community for the community. Hallhill’s aims and objectives are to encourage every member of the community to participate in a sport or a physical activity of their choice, provide training and information on how members of the community can live a healthier lifestyle, to provide a coaching development programme to help improve the fitness and performance level of members of the community and to provide a social framework that will enhance the social cohesion of the community. Hallhill means different things to many people – it provides playing fields for the local schools for the delivery of PE through to the base for the local Dunbar film club. Alongside the seven clubs, who have between them over six hundred members, there is a major local dance company based with us which operates on a daily basis bringing a huge boost to the physical activity of girls in our community. The facilities at Hallhill are open to all members of the local community with function rooms available to hire for meetings, functions, birthday parties etc.